﻿ Beijing Wellan Century Technology Co., LTD. 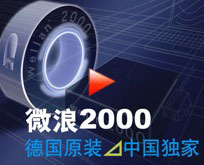 Specifically, with over ten years of water treatment experiences and our latest research advancement and application technology, we have brought to our customers world-wide - WELLAN®2000 water treatment device, the only water treatment technology available on the market that significantly reduces or completely eliminates usage of chemicals. In many heavy industry applications we have achieved great success of “green physical” water treatment; a significant number of our projects have enabled customers to completely eliminate the reliance on chemicals which would otherwise be used in the water bearing systems and be released into the environment. With WELLAN®2000, water bearing system will be free of scale and corrosion and bacteria, and the water property will be more natural and beneficial to the operating facilities and environment as a whole! With more and more pressure of global environmental changes, we have expanded our core business to engage in more complex fluid treatment such as crude oil, paraffin and wax, heavy oil etc., This new business domain we entered since 2012 has helped our customers save millions of operational costs while mitigating toxic emissions to the environment. Our team of consultants and engineers at Wellan draw on their wealth of product-specific expertise in conjunction with operational experiences to provide the most practical and cost-effective solution possible. Facing the global energy crisis and environmental challenges, we are passionately focused on driving customer’s success. We look forward to receiving your enquiries; see how we can help you.